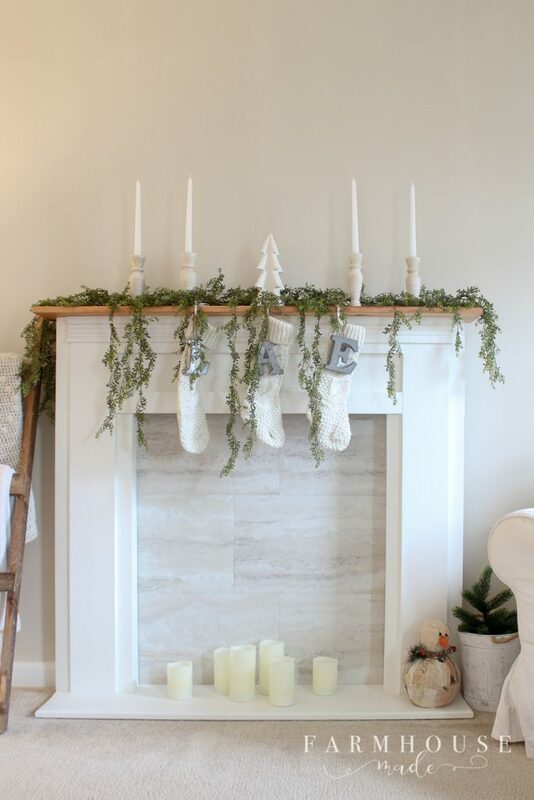 I love keeping Christmas decor simple and light, and this mantle is perfect! 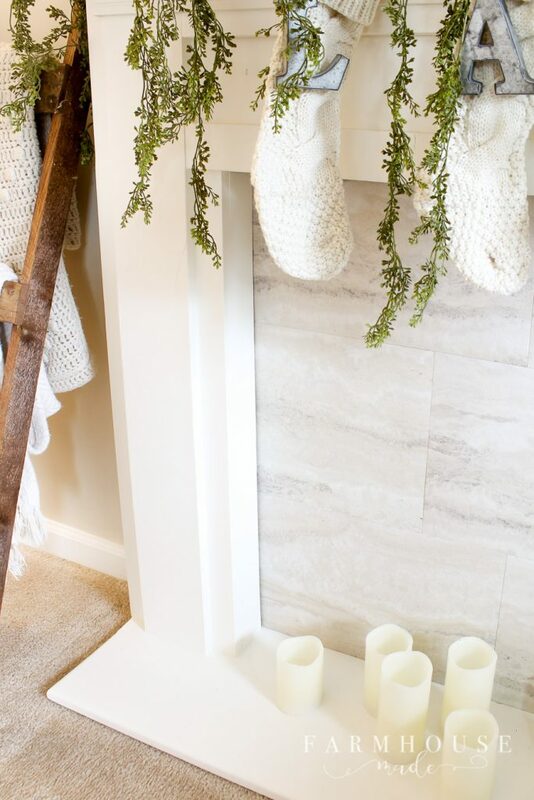 The mantle sits on this gorgeous farmhouse style DIY faux fireplace, which looks like it’s been here all along. 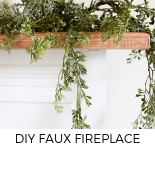 This DIY faux fireplace is so simple to put together, in just a day or two. Remember when we had that giant cubby unit from Ikea with all the squares? 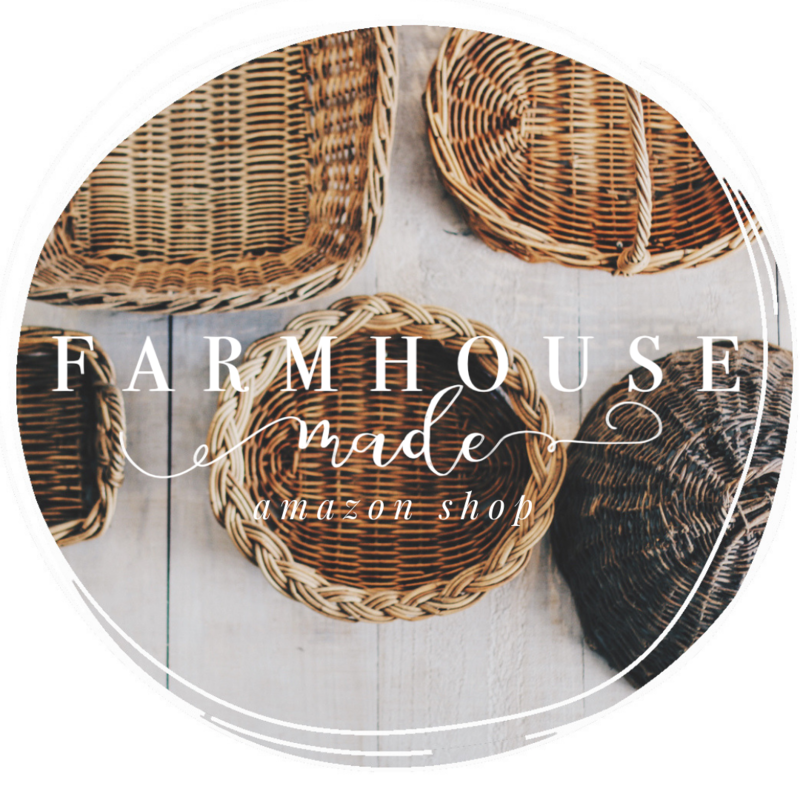 Then I made barn doors to cover some of the squares because it was too chaotic for my eyes? Well, that unit was a casualty of my purging session before I painted the entire house (like, 2 weeks ago). We’re repurposing the doors and sliders because I love them still… I just couldn’t deal any longer with all. the. squares. So much chaos, in a house with 3 kids. We are at capacity for chaos in here, y’know what I mean? So, I took it out one afternoon. I can’t even tell you how much calmer the living room was, once it was out. After the dust settled, we were trying to figure out what in the world to do on that wall. 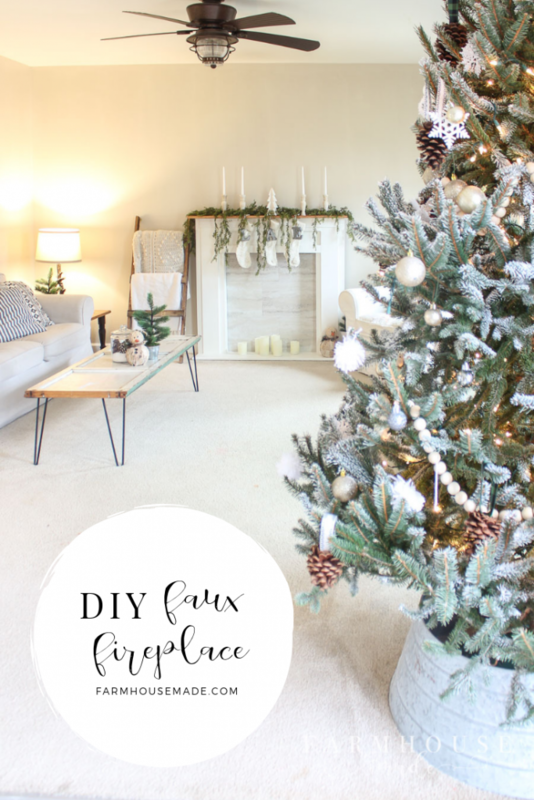 A buffet, diy faux fireplace, more shelves, gallery wall, nothing at all. Decisions, decisions. We decided that a fireplace surround would be adorable for upping the character in here, while not adding lots of space for more storage (because I see that as an invitation to buy more junk to fill that space). 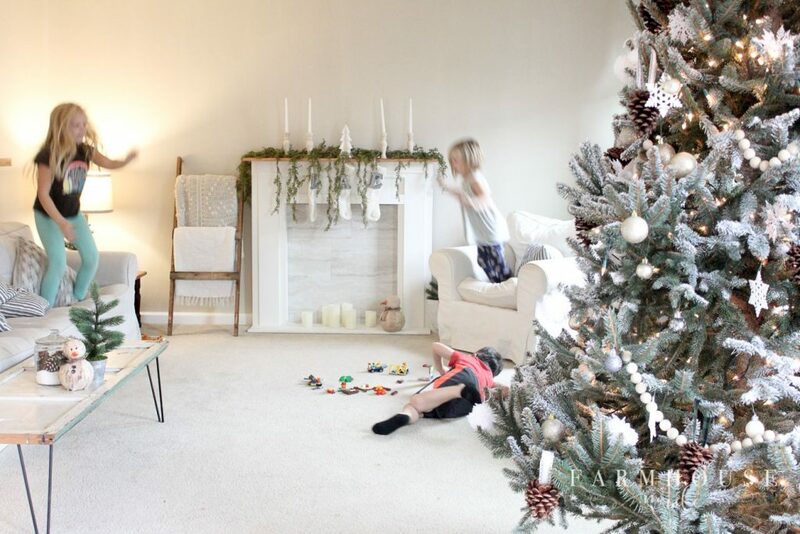 I set out on my journey to buy an antique one, but I didn’t want to pay all that money in a room where the kids would most likely see the fireplace as a perfect goal for illegal indoor soccer. So we built one with plans from Ana White and Blue Roof Cabin. The only customizations we made, were adding a hearth and changing the trim at the top. Andrew made this in a day, you guys. You know what’s a real pickle? Realizing you’d like to use a sprayer to paint the fireplace, but it’s 20 degrees outside, and your garage is maybe 27 degrees. We have an awesome flame-throwing-savage-construction-site heater in there, but I just didn’t want to go through trying to preheat the garage to the right temperature, keeping it at the right temp for the paint to dry, and I just generally dislike winter. Popping up my medium spray shelter in the living room sounded like an amazing plan. 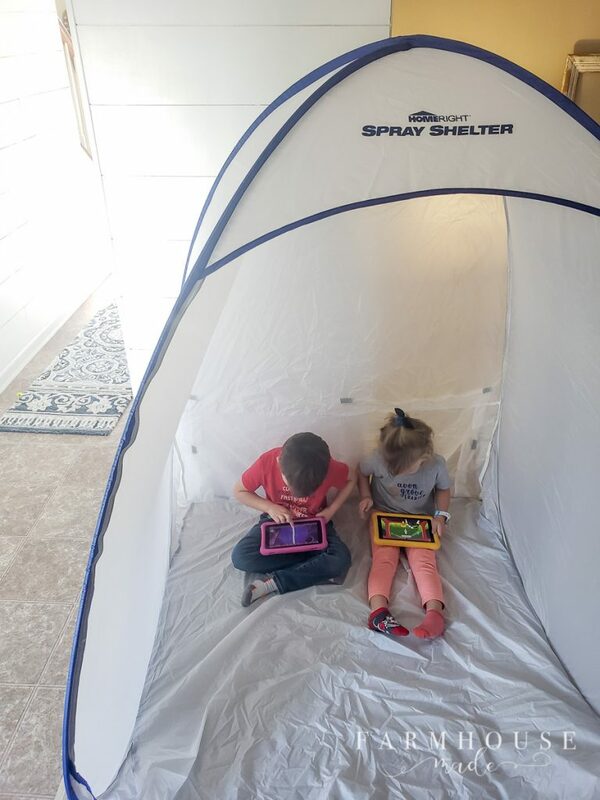 This medium spray shelter from HomeRight has a built-in bottom (praise hands), as well as a ventilation flap in the back, so it was the perfect choice to use in my living room. The fireplace was a little tight, but it was certainly better than freezing, and turning the fireplace was no big deal. 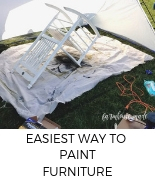 The larger spray shelter is a perfect option as well if you have a larger space available, or are able to paint outside. If you’re able to paint outside in December, I tip my hat to you. 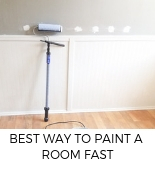 If you haven’t used a paint sprayer before, you don’t know what you’re missing. 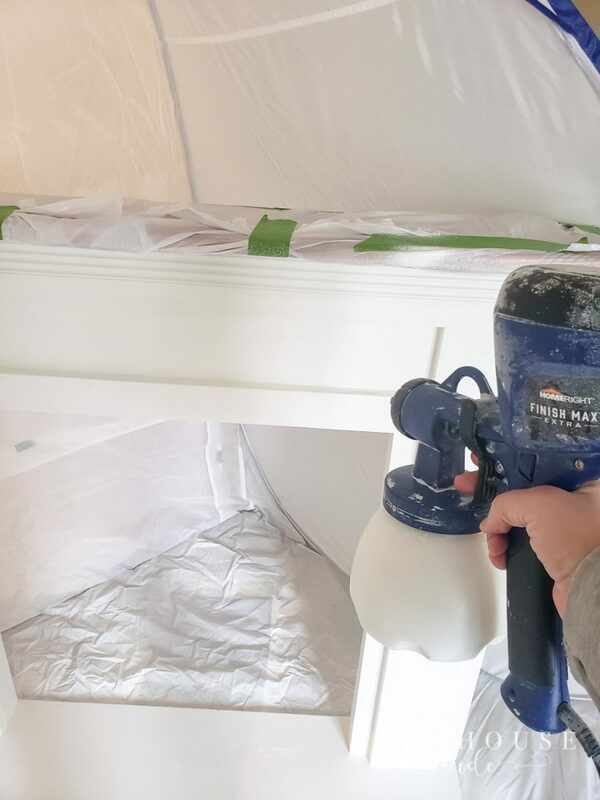 We sprayed so many things over here with the HomeRight FinishMax & FinishMax Extra (now Super): our kitchen cabinets (and the update on how they’re holding up), the interior of my moms shed, and a rocking chair in the large spray shelter. Some people I talk to and recommend using a sprayer instead of a brush, are scared to make the leap. 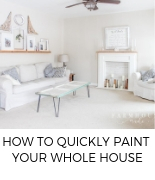 I assure you, if you can operate a can of spray paint, hair spray, mousse, dry shampoo, a spray bottle, water gun, nerf gun, super soaker… you’re going to excel with the paint sprayer. For specific details on the line of HomeRight Finish Max HVLP sprayers, click here. For specific details on the line of HomeRight spray shelters, click here. 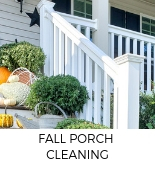 Check out all the HomeRight products here. Pour your paint into the paint cup. Pull the trigger and go. As with all paints of the spray variety and hair spray, thin coats are your friend. It’s better to do two or three thin coats, than one or two thick coats. 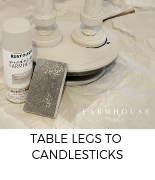 When your paint is too thick, that’s when it gets that tacky feeling after it should be dry. The FinishMax Super comes with different nozzles for different finishes, so you may not have to thin your paint. 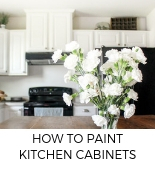 I have used cabinet paint, latex, stain, and poly, and I almost always use the same green tip. 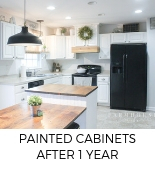 Definitely test the paint before you start to make sure your paint, stain, or sealer is going to look perfect. Andrew built the DIY faux fireplace to the dimensions in Ana’s plan, and we swapped the trim for something craftsman and simple, and added the hearth. 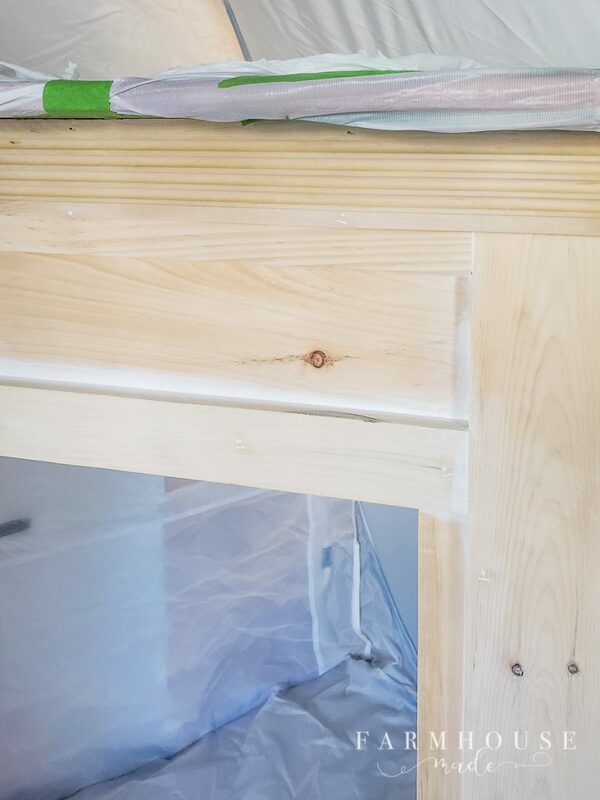 He hit the mantle and hearth with a router, filled in all the holes, sanded, sanded more, then caulked the seams. Then I went back and got these nails Andrew added after the fact. I previously stained the mantle with my new favorite fast-drying Varathane stain (and the satin water-based polyurethane). 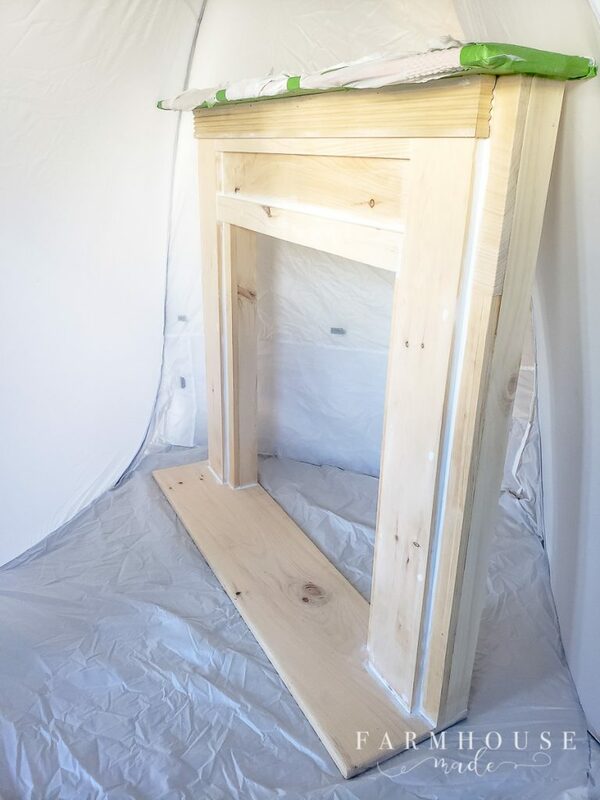 The shade of stain I used was ‘a-little-bit-of-Walnut-mixed-in-with-a-lot-of-Ipswitch-Pine.’ One part walnut to three or four parts pine, is my best guess, but I literally poured some of each can into a cup, adjusted as I went along, adding some walnut here and there for depth. After this was dry, I wrapped it in a trash bag and taped it off so I didn’t get paint on it. You’re ready to spray, sisters! 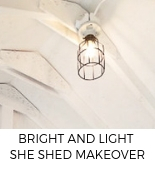 I went with 3 coats of Alabaster (Sherwin Williams) in a satin finish, which is my favorite shade of white in all the universe. Some spots needed a little extra spray, and I made sure to hit the hearth really, really well. Cleaning up the sprayer is so simple. 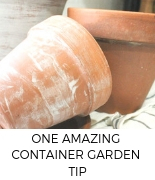 I rinsed and washed the cup, take-up tube, and the nozzle pieces. 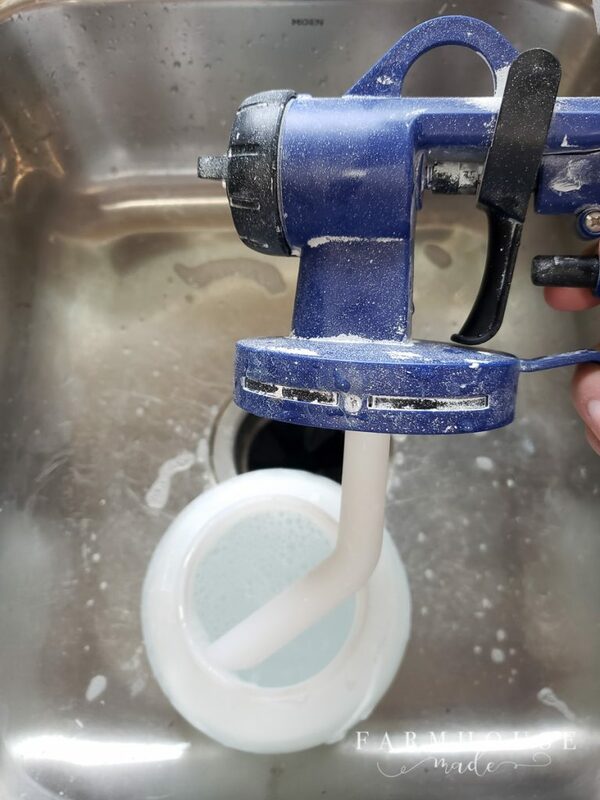 Then filled the cup with some water, and ran it through the sprayer into the sink until it was clear. You may use a straw brush to get out anything that’s stuck, but I have never had an issue getting leftover paint out. Breaking down the pop-up shelter was so easy. There are directions on the carry bag in case you get stuck. Unlike those beach tents and baby pool floats with the nets. Those things are impossible. Lilly did this one mostly by herself. 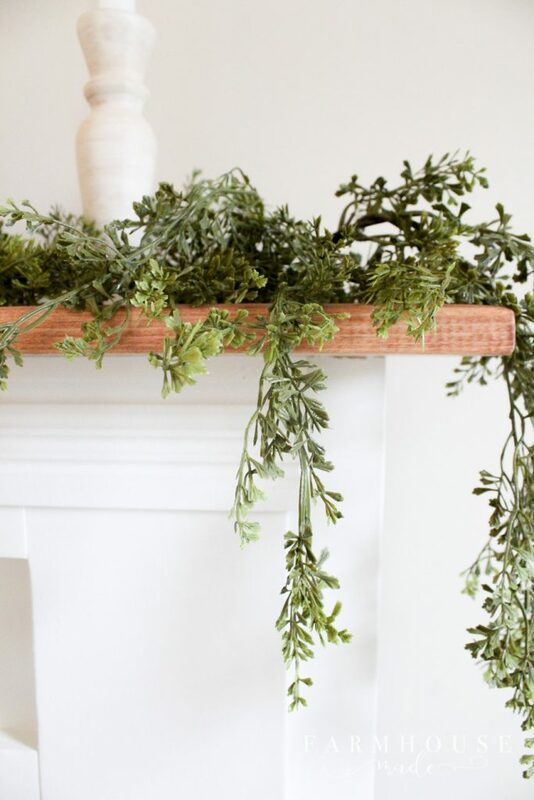 There are so many ways to enclose the back of the fireplace. 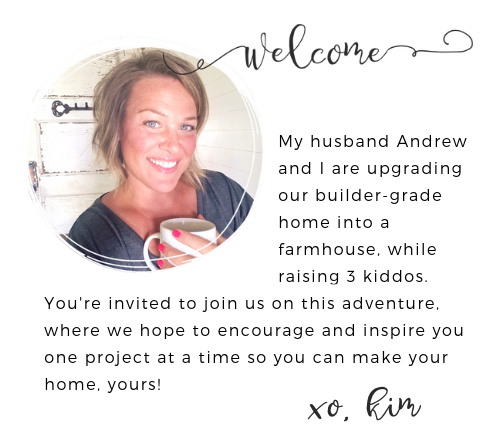 I have seen a painted wall, shiplap, herringbone patterns, stick on tiles, sheets of brick paneling painted white, chalkboard paint. I wanted to do the white painted brick, Andrew wanted some peel and stick tiles. We did six of these 12″x24″ oyster travertine peel and stick floor tiles, on a piece of sturdy cardboard. Andrew pre-drilled through the tile and cardboard, and used a wide-head screw to attach the backing to the fireplace. Andrew made an amazing choice, so I am calling him out right here in this header, because this tile was his idea, and I love it. 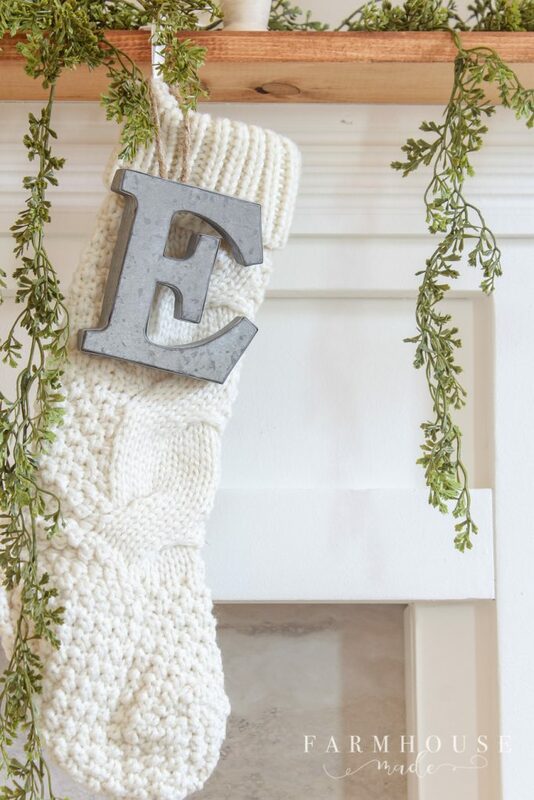 Now I get to decorate a mantle! 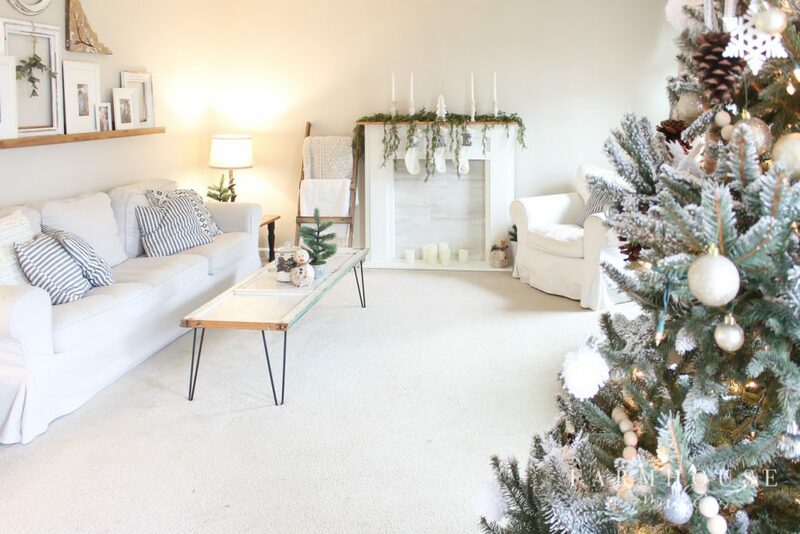 I’m so glad this was done in time for Christmas, so I could do my simple Christmas decor, with only a few candles, greenery, and cable knit stockings for the kids. This leaves so much room for activities, and apparently, jumping off couches. Great job you two! I Love it! Decluttering has made your living room seem so much bigger!